A fresh (and larger) take on traditional tamales, Bola Tamales one-pound res en salsa verde Oaxacan tamales are shredded beef, green salsa and our white gluten free masa hand-wrapped in a banana leaf. 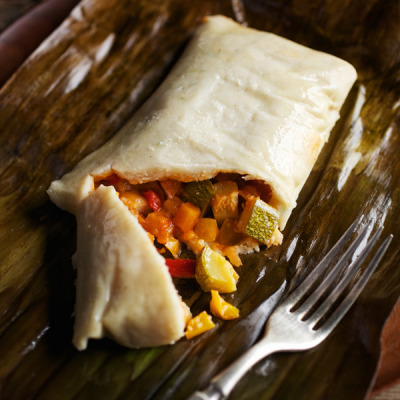 Made without lard, they’re an indulgent, healthy tamale and a true taste of heirloom Hispanic cooking. One of Bola Tamales healthy alternatives to traditional tamales, our res en salsa verde Oaxacan tamales are filled with shredded beef and a tangy mix of green salsa. Like all of our Oaxacan tamales, Bola Tamales res en salsa verde Oazaca tamales offer a hearty one-pound meal that has all the flavor, freshness and de la familia soul of authentic Mexican cooking. 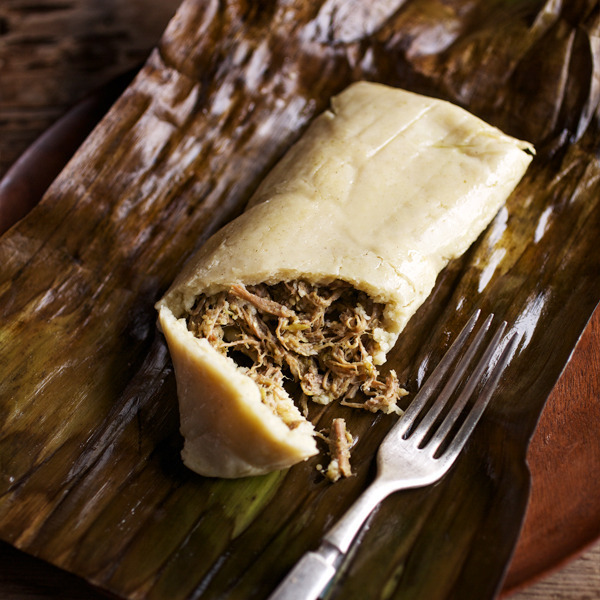 These healthy tamales are a full meal in-and-of-themselves. By hand-wrapping our res en salsa verde Oaxacan tamales in a banana leaf, our expert team of artisanal chefs preserves the moist texture of traditional masa without the use of lard. The result is a satisfying, bold taste that does not sacrifice authenticity for a fresh, healthy tamales flavor, allowing the beef and green salsa filling to take center stage. It is the next step in the evolution of Mexican cooking – a development made with family at its center and a commitment to improve on the loving passion of our foremothers.